Richly hued, straight-stemmed flowers are grown in summer and requires well drained, humus rich potting mixture. Black eyed Susans will rest for a few months before commencing the next growing cycle. 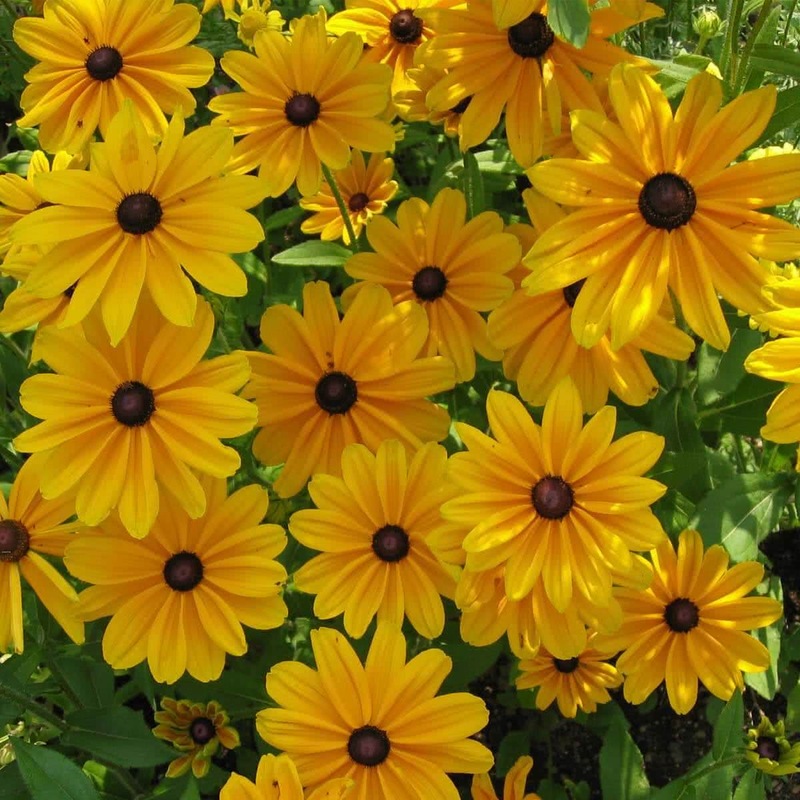 Introduction and Uses: Rudbeckia is a very attractive annual. It bears large and beautiful flowers resembling daisies. The flowers are borne on long stalks and are of a yellow shade, having a mahogany-crimson central zone and a dark brown central disc.The plants are ideal for cut flowers, flower beds, and borders. 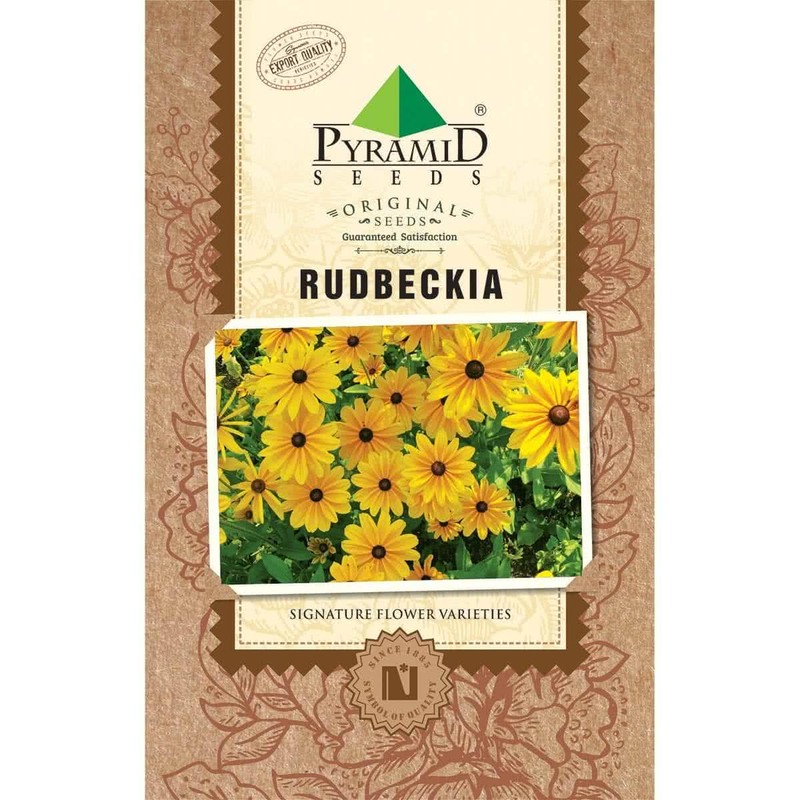 Rudbeckia is grown by direct seed sowing in pots, containers, and flower beds. The best time to sow seeds is from August-November for winter and summer. For beds and borders, seeds can be sown 0.5 cm deep in the soil and are covered with a layer of soil. Extra seedlings are be thinned after a 2-3 week at 50 x 50 cm. Watering: Moderate watering twice a week is needed. Feeding: Fresh compost should be added to soil at the time of planting. Liquid cow-dung manure is given every 15 days along with vermicompost. Plant care: This plant is easy to cultivate in any soil and situation. It is a hardy plant that thrives well even in driest and hottest places. Bloom time: Flowering starts 4-5 months after seed sowing. Buy variety of flower seeds online. Regeneration: After blooming is over, plants should be cut back severely to have the second round of flowering.